We're Your Professional Arlington Tree Experts, call us at (817) 502-9402! With so many Tree Services in Arlington, TX. Who do you choose for your next tree job? Tree Service Fort Worth proudly services our sister city Arlington, Texas. Most of our staff lives in Arlington and are masters at helping you make the right decisions when it comes to properly caring for your plantation. We have the latest technology, techniques, equipment, and service success for you. We are connected to the very best in arborist, tree doctors, and trained service professionals in North Texas. Our crews simply know how to attend to your trees. Our equipment is new, we take the best approach and will not try to sell you services that are not needed to get the results you are looking for. All of our technicians have one goal in mind. We want to give you the best service for the best price in the DFW Metroplex. We understand that a happy and satisfied client is a lasting member of our team. When choosing a tree care professional give us a call, we can help you (817) 502-9402. Here is a line of our services to ARLINGTON, TX. First we start by evaluating the landscape and your personal property. In this process, we will lay out a plan to remove the tree or trees in your request. Included in this evaluation, we will design a way to start the cutting from the top of the crown and equipment position. Taking all the precautions to do things with the utmost of safety we start to remove the tree one piece at a time. We do our best to load pieces as we go avoiding landscaping damage. When it comes to removing the trunk of the tree we will cut as much of it as possible to lowering the plain until we will start to use equipment to pull out just like a tooth. If a crane is need we take all the necessary steps to protect your landscaping. When tree is completely removed we will fill with dirt and can follow your direction on if you would like sod or whatever your liking. We will take the time to ensure that everything gets cleaned to its normal standard when we are finished removing the tree. We have the right equipment for the job and the quality of staff with the experience needed to take on any of your stumps! Don't take a chance with unprofessional services that will cut corners to cut through your wallet. We understand that tree grinding isn't just a tree grinding. 1. The right equipment for the job. 6. Experienced with tree stump grinding. One of the problems with tree grinding services is the roots of the tree. Lets not forget that roots will sprout future growth if not treated. With your stump grinding you will also get our totally bio friendly root cleaning system to ensure that you don't have future problems. We also offer a complete sod planting system to cover that nasty hole in your yard. Are main focus is tree care but tree removal is not far from our list of great jobs performed. Included in tree removal services is stump grinding, one of the premiere services we offer. No matter if its a small to very large tree we have the goods to help you. Most companies don't have the right equipment to get the job done...WE DO! 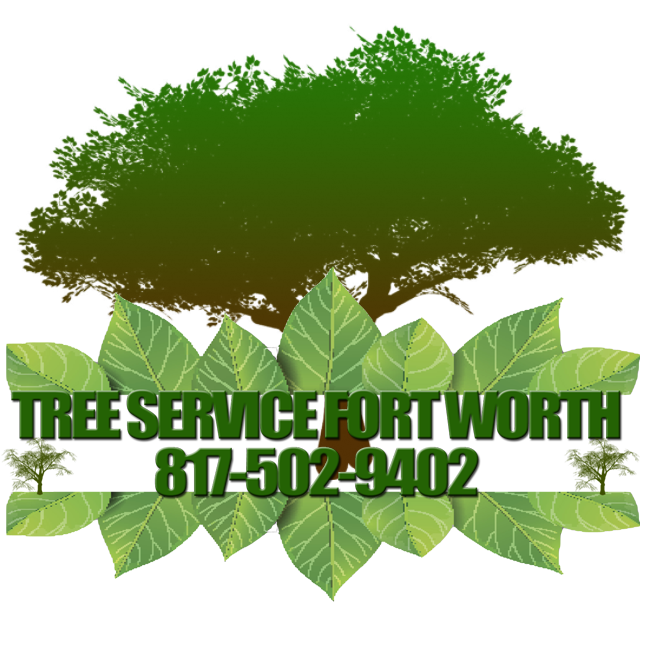 Rest assured that your property will have the best tree service in Texas available to serve you! 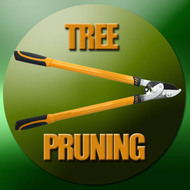 Pruning your trees is one of the most important steps in your tree's health and proper growing. Really take the time to read these very informative and vital steps. Our recommendation to you is call a professional before making any cuts to your trees and get good solid advice on how to keep your trees health in mind. Remember this very important factor "trees do not heal they seal". As our clients, we assure you we have certified trained personnel that follow up with the ANSI A300 usual pruning standards. Always start from the top of the tree and work your way down when evaluating a prune. This is the best way to inspect what needs to be done and what branches could possibly be cut. Lets keep the 1/3 and 1/4 pruning rule in effect while evaluating. This is a good rule of thumb to keep from making costly mistakes. Never prune more than 1/4 of tree crown in a season. Your goal will be side branches 1/3 smaller than diameter of trunk. Try not to prune up more than 1/3 of tree's total height. You should try to prune in a way where all your branches are either 10 or 2 o'clock from the trunk on sides going up. 1. Identify problems in a trees life early, correct them thru time. Make sure there is one trunk only. Choose the strongest one, also choose the best branches, cut the rest. 2. Don't waste paint with large cuts, painting them normally doesn't do much for the overall health of the tree. 3. It's important to use the best sharp tools available to you. For young trees pruning shears with a curve work ideal. 4. For tall trees use a pole pruner they should have a curve on the blades. 5. For large trees don't try to cut, it's best to call a professional. 6. Don't leave a protruding stub on breaches that are too small and don't have a collar. 7. When cutting a branch that's not healthy at it's collar area, try to choose one that has other little branches on it so over time it will grow over cut and look natural. Remember that your trees are the most valuable asset in the landscape of your property. If maintained right they will increase the overall value of your home. Our service professionals are here to help you with your trees! We have several programs available depending on your need. Regardless, what this issue may be or if there's any issue at all. Our maintenance programs will help you monitor the overall well being of your trees. These programs are in most cases inexpensive and very affordable. Along with any service we do on your property we can include one free evaluation a year after first service is done. In this we will give you a full report and also some tips to help the overall health of the trees. Watering your tree is another key of success for keeping your tree alive. About our maintenance programs, please next time contact us.